Recovering from an uncomfy tum! I sit here clutching a hot mint tea recovering from 14hrs of stomach pains and nausea. It never gets any easier does it! For me this was a much longer attack than usual. I think its always worse when you can’t work out what has caused it. I was diagnosed with Crohns disease last year but my symptoms are more similar to Coeliac disease which I cannot be tested for ( have been gluten free for over 5 years and am very ill If I am accidentally glutened ) These days I only seem to have symptoms like this when I eat out, usually due to cross contamination. This time I think it was kicked off by my strong Iron tablets ( Ferrous Gluconate 300mg ) that I am taking for Anaemia. I have to bury it in a big evening meal and maybe I didn’t eat enough. The tablets are helping my symptoms of anaemia so I must continue to take them although I will now take a couple of days out to give my sore insides time to heal. For me after an attack my weight just drops off so quickly, I have to make sure I eat little and often and avoid grains and other foods that cause inflammation. 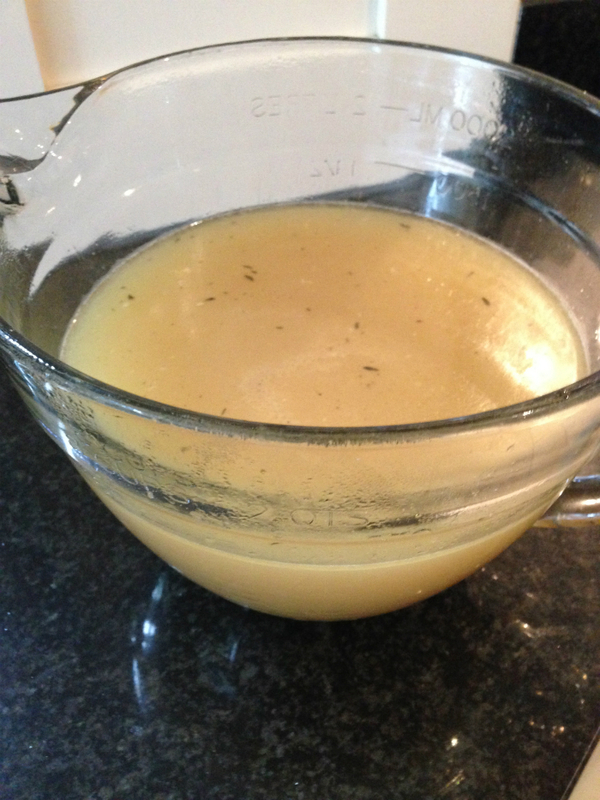 Today I am going to make myself some chicken broth in the hopes that it will be a gentle introduction to eating again and healing my insides. I would love to hear from you if you have any ideas for food for tummy recovery. 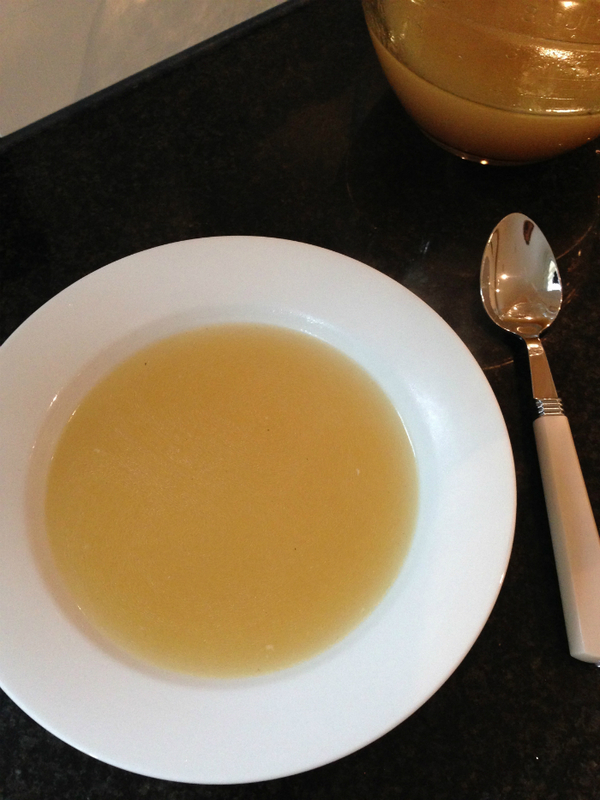 I am determined to learn to make beef bone broth which I could freeze and have ready for such a day as today. 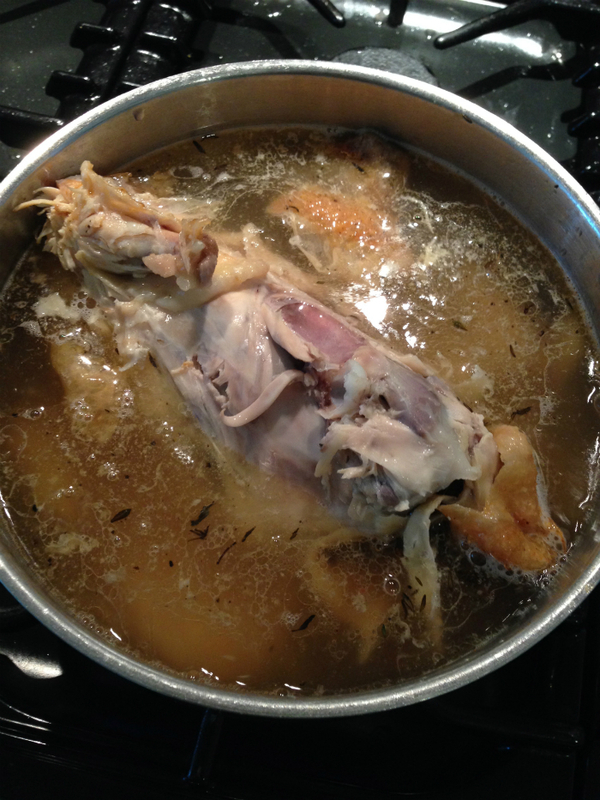 put the cooked chicken carcass in a large saucepan with the juices from the roasting tray add some hot water to your roasting tray to make sure you get all the juices. 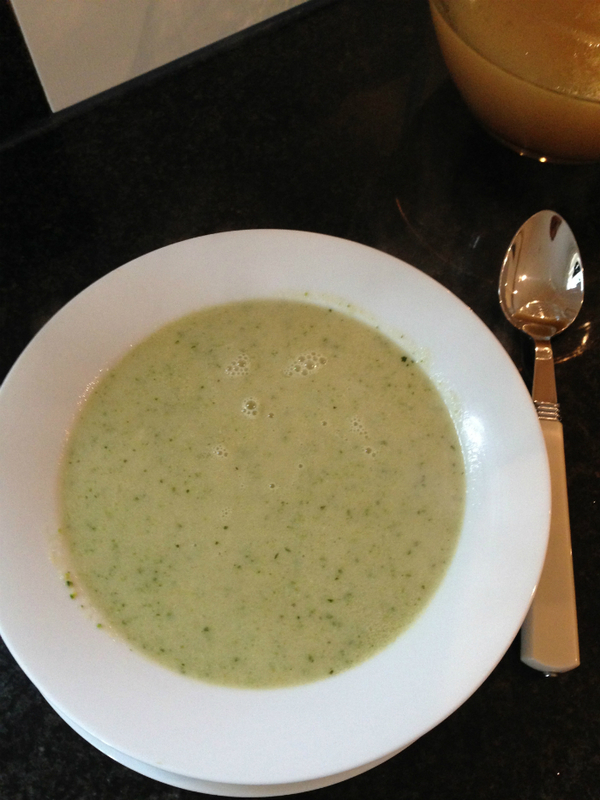 or for a light chicken soup add some of the cooked chicken and some finely diced celery and courgette fried. Then using a hand blender , blend until smooth. I’m pleased to say after a bowl of broth and an afternoon trip to the cinema I’m feeling fighting fit! Heres to a healthy tummy! I had a problem taking iron tablets, but had injections instead not pleasant as they do them into the muscle but no side effects. This soup seems like it is an easy and tasty recipe to make. I will definitely try it out. I also understand how feeling unwell never seems to get easier. I do not have celiac or chrons but I have fructose malabsorption and eating the wrong thing can takes days to recover from. I hope you feel better soon! If you have a chance I would love for you to check out my site,Contented Belly, at http://contentedbelly.com. I discuss different digestive disorders, such as, celiac disease and fructose malabsorption.